There are four generations of quinolones for humans. And the fifth generation is in development. They are listed in the articles below. These quinolones are made specifically for veterinary use only. Educate yourself about the boxed warnings of quinolones and the adverse effects of quinolones. Read the articles below. The quinolones are a family of synthetic broad-spectrum antibacterial drugs. Quinolones, and derivatives, have also been isolated from natural sources (such as plants, animals and bacteria) and can act as natural antimicrobials and/or signalling molecules. The first quinolone was nalidixic acid – introduced in 1962 for treatment of urinary tract infections in humans. Nalidixic acid was discovered by George Lesher and coworkers in a distillate during an attempt at chloroquine synthesis. Quinolones exert their antibacterial effect by preventing bacterial DNA from unwinding and duplicating. The majority of quinolones in clinical use are fluoroquinolones, which have a fluorine atom attached to the central ring system, typically at the 6-position or C-7 position. In the US, the package insert for fluoroquinolone antibiotics includes a boxed warning of increased risk of developing tendonitis and tendon rupture in patients of all ages taking fluoroquinolones for systemic use. This risk is further increased in individuals over 60 years of age, taking corticosteroid drugs, or having received kidney, heart, or lung transplants. Another boxed warning says fluoroquinolones, due to their neuromuscular blocking activity, may exacerbate muscle weakness in persons with myasthenia gravis. Serious adverse events, including deaths and requirement for ventilatory support, have been reported in this group of patients. Avoidance of fluoroquinolones in patients with known history of myasthenia gravis is advised. Partly as a result of the efforts of Public Citizen, the FDA ordered boxed warnings on all fluoroquinolones, advising consumers of an enhanced risk of tendon damage. On July 8, 2008, the FDA ordered a boxed warning on certain antibiotic medications containing fluoroquinolone, which has been linked to tendon ruptures and tendinitis. Included were the popular drugs Cipro (ciprofloxacin), Levaquin (levofloxacin), Avelox (moxifloxacin), Noroxin (norfloxacin) and Floxin (ofloxacin). In general, fluoroquinolones are tolerated, with side effects being mild to moderate. Common side effects include gastrointestinal effects such as nausea, vomiting, and diarrhea, as well as headache and insomnia. Postmarketing surveillance has revealed a variety of relatively rare but serious adverse effects that are associated with all members of the fluoroquinolone antibacterial class. 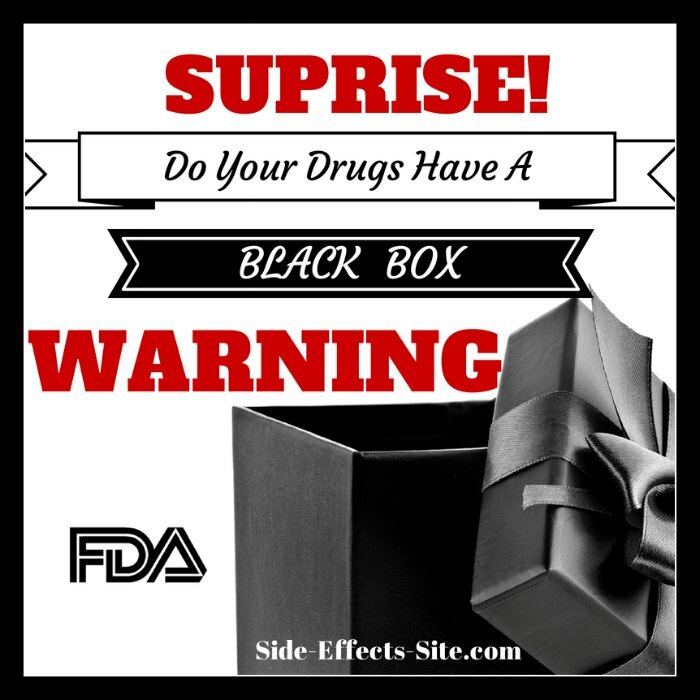 Among these, tendon problems and exacerbation of the symptoms of the neurological disorder myasthenia gravis are the subject of “black box” warnings in the United States. Quinolones are associated with an increased risk of tendinitis and tendon rupture in all age groups. This side effect is most common in but not limited to the Achilles tendon. Fluoroquinolone-associated tendinopathy symptoms have occurred as early as 2 hours after the initial fluoroquinolone exposure and as late as 6 months after the medication was discontinued. The most severe form of tendonopathy associated with fluoroquinolone administration is tendon rupture, which in the great majority of cases involves the Achilles tendon. Younger people typically experience good recovery, but permanent disability is possible, and is more likely in older patients. The overall frequency of fluoroquinolone-associated Achilles tendon rupture in patients treated with ciprofloxacin or levofloxacin has been estimated at 17 per 100,000 treatments (three times the rate in people without fluoroquinolone exposure). Risk is substantially elevated in the elderly and in those with recent exposure to topical or systemic corticosteroid therapy. Simultaneous use of corticosteroids is present in almost one-third of quinolone-associated tendon rupture. Other risk factors include patients with kidney, heart and lung transplants, strenuous physical activity during or immediately after treatment, renal failure or previous tendon disorders like rheumatoid arthritis. Some experts have advised avoidance of fluoroquinolones in athletes. Fluoroquinolones prolong the heart’s QT interval by blocking voltage-gated potassium channels. Prolongation of the QT interval can lead to torsades de pointes, a life-threatening arrhythmia, but in practice this appears relatively uncommon in part because the most widely prescribed fluoroquinolones (ciprofloxacin and levofloxacin) only minimally prolong the QT interval. Clostridium difficile-associated diarrhea may occur in connection with the use of any antibacterial drug, especially those with a broad spectrum of activity such as clindamycin, cephalosporins, and fluoroquinolones. Fluoroquinoline treatment is associated with risk that is similar to or less than that associated with broad spectrum cephalosporins. Fluoroquinoline administration may be associated with the acquisition and outgrowth of a particularly virulent Clostridium strain. The U.S. prescribing information contains a warning regarding uncommon cases of peripheral neuropathy, which can be permanent. Other nervous system effects include insomnia, restlessness, and rarely, seizure, convulsions, and psychosis. Other rare and serious adverse events have been observed with varying degrees of evidence for causation. On November 5, 2015, the FDA held a joint meeting of the Antimicrobial Drugs Advisory Committee and the Drug Safety and Risk Management Advisory Committee to discuss risks and benefits of the systemic fluoroquinolone antibacterial drugs for the acute bacterial sinusitis, acute bacterial exacerbations of bronchitis in people with chronic obstructive pulmonary disease, and uncomplicated urinary tract infections. The Agency asked the committee to review reports of tendonitis and tendon ruputure, peripheral neuropathy, and cardiac arrhythmia associated with long-term disability to determine whether the benefits of fluoroquinolone therapy in these indications justifies the associated risk. The 21-member joint committee overwhelmingly recommended stronger label warnings on the containers because of rare but sometimes devastating side effects. Researchers divide the quinolones into generations based on their antibacterial spectrum. The earlier-generation agents are, in general, more narrow-spectrum than the later ones, but no standard is employed to determine which drug belongs to which generation. The only universal standard applied is the assignment of the nonfluorinated drugs found within this class (quinolones) to the ‘first-generation’ heading. As such, a wide variation exists within the literature dependent upon the methods employed by the authors. The second-generation class is sometimes subdivided into “Class 1” and “Class 2”. However, the agricultural use of fluoroquinolones in the US has been restricted since 1997, due to concerns over the development of antibiotic resistance. Fluoroquinolones exhibit concentration-dependent bactericidal activity by inhibiting the activity of DNA gyrase and topoisomerase, enzymes essential for bacterial DNA replication. Many newer fluoroquinolones have been withdrawn because of toxicity; they include trovafloxacin (because of severe hepatic toxicity), gatifloxacin (because of hypoglycemia and hyperglycemia), grepafloxacin (because of cardiac toxicity), temafloxacin (because of acute renal failure, hepatotoxicity, hemolytic anemia, coagulopathy, and hypoglycemia), and lomefloxacin, sparfloxacin, and enoxacin. Oral absorption is diminished by coadministration of cations (aluminum, Mg, Ca, zinc, and iron preparations). After oral and parenteral administration, fluoroquinolones are widely distributed in most extracellular and intracellular fluids and are concentrated in the prostate, lungs, and bile. Most fluoroquinolones are metabolized in the liver and excreted in urine, reaching high levels in urine. Moxifloxacin is eliminated primarily in bile. Nosocomial methicillin-resistant staphylococci are usually resistant. Older fluoroquinolones have poor activity against streptococci and anaerobes. Newer fluoroquinolones have reliable activity against streptococci (including Streptococcus pneumoniae with reduced penicillin sensitivity) and some anaerobes; moxifloxacin in particular is active against most clinically significant obligates anaerobes. As use has increased, resistance, particularly to older fluoroquinolones, is developing among Enterobacteriaceae, P. aeruginosa, S. pneumoniae, and Neisseria sp. Nonetheless, fluoroquinolones have many clinical uses. Fluoroquinolones are no longer recommended for treatment of gonorrhea in the US because of increasing resistance. Fluoroquinolones have traditionally been considered to be contraindicated in children because they may cause cartilage lesions if growth plates are open. However, some experts, who challenge this view because evidence is weak, have recommended prescribing fluoroquinolones as a 2nd-line antibiotic and restricting use to a few specific situations, including P. aeruginosa infections in patients with cystic fibrosis, prophylaxis and treatment of bacterial infections in immunocompromised patients, life-threatening multiresistant bacterial infections in neonates and infants, and Salmonella or Shigella GI tract infections. Fluoroquinolones are in pregnancy category C (animal studies show some risk, evidence in human and animal studies is inadequate, but clinical benefit sometimes exceeds risk). Fluoroquinolones enter breast milk. Use during breastfeeding is not recommended. Upper GI adverse effects occur in about 5% of patients because of direct GI irritation and CNS effects. CNS adverse effects (eg, mild headache, drowsiness, insomnia, dizziness, mood alteration) occur in < 5%. NSAIDs may enhance the CNS stimulatory effects of fluoroquinolones. Seizures are rare, but fluoroquinolones should not be used in patients with CNS disorders. Tendinopathy, including rupture of the Achilles tendon, may occur even after short-term use of fluoroquinolones. QT-interval prolongation can occur, potentially leading to ventricular arrhythmias and sudden cardiac death. Fluoroquinolone use has been strongly associated with Clostridium difficile–associated diarrhea (pseudomembranous colitis), especially that due to the hypervirulent C. difficile ribotype 027. Diarrhea, leukopenia, anemia, and photosensitivity are uncommon. Rash is uncommon unless gemifloxacin is used for > 1 wk and is more likely to develop in women < 40. Nephrotoxicity is rare. Dose reduction, except for moxifloxacin, is required for patients with renal insufficiency. Older fluoroquinolones are normally given twice/day; newer ones and an extended-release form of ciprofloxacin are given once/day. Ciprofloxacin raises theophylline levels, sometimes resulting in theophylline-related adverse effects.